A man with a baseball bat and a knife was shot and killed by a county deputy late Sunday night. He was identified as Charles Bradley Payne, 42. The Sheriff's Office said: At approximately 11:51 p.m., Hamilton County Sheriff’s Office deputies responded to the 9100 block of Broyles Drive for a reported disorder. Upon arrival, deputies encountered a suspect with a weapon. As a result, the involved suspect is deceased. Deputies involved in the incident were not injured. 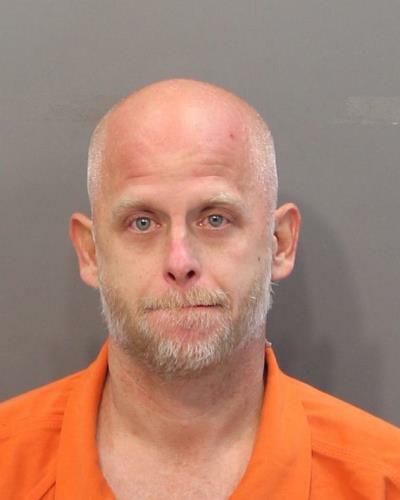 Hamilton County District Attorney Neal Pinkston has been advised of the incident and has directed the Tennessee Bureau of Investigation to conduct an investigation into this incident. As per agency policy, the involved deputies have been placed on administrative leave with pay. The TBI said: At the request of 11th District Attorney General Neal Pinkston, Special Agents and Forensic Scientists from the Tennessee Bureau of Investigation continue to investigate the circumstances surrounding a fatal officer-involved shooting overnight in Hamilton County. Preliminary information indicates the incident occurred shortly after midnight eastern at a home in the 9100 block of Broyles Drive, where three deputies responded to reports of a disorderly subject. When they arrived, deputies encountered a man, identified as Charles Bradley Payne (DOB: 9/9/76), who was armed with a baseball bat. During the exchange, Payne dropped the bat, but brandished a knife, escalating the situation and resulting in one deputy firing his service weapon, striking Payne, who died at the scene. No law enforcement officers sustained injuries in the incident. Agents and Forensic Scientists continue to work to gather any and all relevant interviews and evidence. As in any case, the TBI acts as an independent fact-finder. Investigative findings will be shared with the District Attorney General throughout the process for his further review and consideration. Broyles Drive is in East Brainerd near Standifer Gap Road. Payne was arrested on Jan. 2 on a charge of disorderly conduct. He pleaded guilty on Jan. 16 and was given a 30-day suspended sentence on good behavior.